MediRecords offers flexible functionalities in booking and managing the appointments for your practice through the use of sessions. However, the hours of the practice must be set first before this feature can be used. This tutorial will briefly go through how to set the opening hours of the practice. Within Appointments, click on the practice that you wish to set the opening hours for. In this tutorial, we will select MediRecords Admin as an example. You will be brought to the Practice section. To demonstrate, we will make the following changes - adding Sunday to Days Closed, and extending the End Time to 08:00PM. Once you have made the changes, click Update. *NOTE: If you do not wish to go ahead with the changes, click Close. The clinic's days of operation and operating hours have now been updated. You've completed another MediRecords Tutorial. 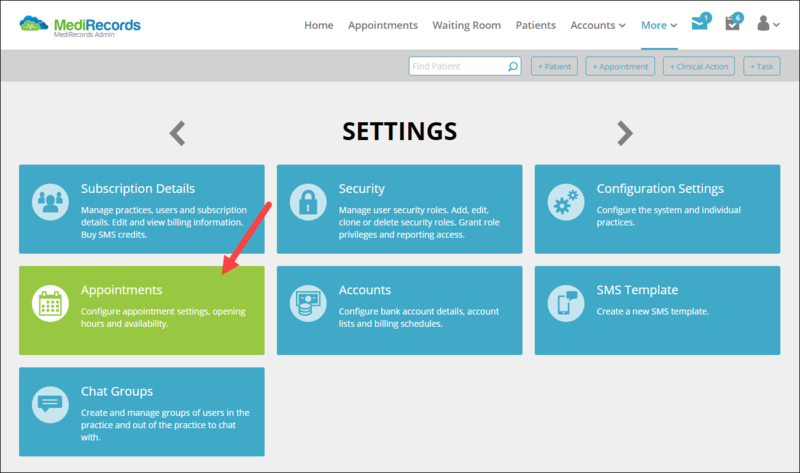 You should now be able to view, set and manage the operating hours for your practice(s) in MediRecords.